Jordan is one of those fantastic countries that has an excellent balance between both natural and historical attractions. In this part of the Middle East everything is located “close” to one another. Jordan is surrounded by a number of countries, it is a small country itself and as a result all of the major attractions are usually within just a several hours drive of one another. The Jordanian people are very friendly and hospitable and are usually quick to offer up directions despite potential language barriers. Smoking is extremely common in Jordan and many of the men do smoke. During our travels throughout the country we found that anti-smoking signs (if available) are ignored on buses and in other forms of transportation. Amman is the capital city and has a major International Airport. It takes about 30 minutes from the airport to the main part of town. You can either take a taxi or one of the big yellow buses that leave about every hour. 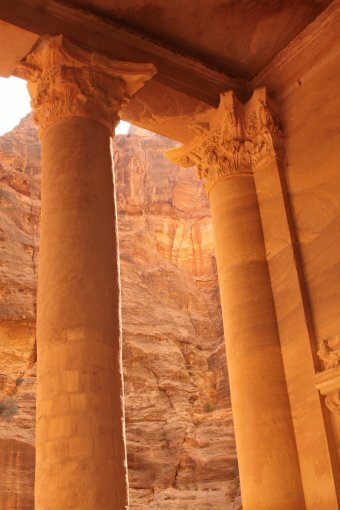 The following are listed in alphabetical order; our Dave’s Travel Corner team visited all of these during a recent trip to Jordan. These are some of the Jordanian “must visits”. 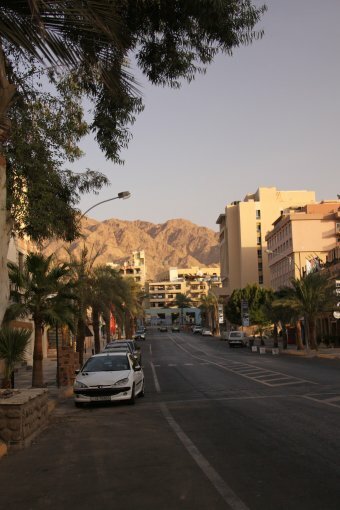 Aqaba is Jordan’s southern most city, located about 4 hours from Amman by bus, slightly faster by car. This is a fairly good sized town located at the tip of this particular gulf of the Red Sea. There are plenty of options for tourists, Egypt is a ferry ride away, Wadi Rum is about 45 minutes to the north and there are a plethora of water activities. In addition there are many hotel options from budget to luxury. This is the world’s most northerly location for coral beds and the water is typically very clear. When we were here in September we had 30 meters of visibility on our dives and snorkel trips. 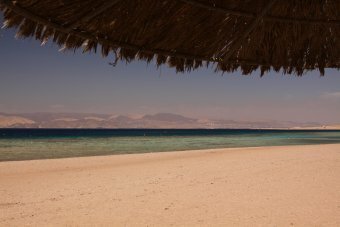 If you are looking to get away from the sometimes business of Aqaba consider a stay on the south beach. This is a new area developed for tourists. King Abdullah has made tourism a priority and south beach is one the locations he has pin pointed for new development. It is about a 12-15 minute taxi ride from the main part of Aqaba. South Beach is located about 5 kilometers from the Saudi Border and this part of Jordan’s Red Sea is not yet hugely developed. The hotels and lodges are still small and intimate. Most of the small lodges are situated in the hills looking down on the Red Sea. One of these is the Aqaba Divers a small resort catering to divers. We had the privilege of staying here recently for several days. This is a resort built and setup for divers from the deep pool, to the pro dive shop right on site. About 15 small rooms are located around the scenic pool with a vista overlooking the Red Sea and the Egyptian coastline. You can walk down the hill to the water (takes about 10 minutes) and right off the beach you have excellent snorkeling as well as diving opportunities. Its somewhat surprising to discover the excellent visibility and richness of coral beds as well as colorful marine life this far north. Aqaba Divers offers a wide range of diving from certifications, to a major wall dive on the Saudi border to wreck dives (nice Russian or American tanker about 15 meters down) as well as exploratory dives. They have a small snack bar next to the pool and have opened a new small restaurant on site so that you don’t need to go back into Aqaba for every meal. The Dead Sea is so saline that it sharply hurts to touch your tongue to the water. This is the lowest point on earth, over 420 meters below sea level. 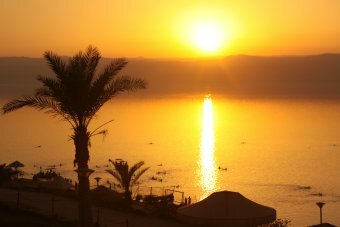 The greatest depth of the Dead Sea goes down another 380 meters! For those wanting to swim in the dead sea, consider rephrasing this statement. You don’t “swim” in the Dead Sea, rather you float avoiding at all costs getting water into your eyes. This water is nearly 9x as salty as the ocean and as a result you cannot sink even if you wanted to (other than loading yourself down with weights). During warm weather you will often see people floating on their backs fully outstretched (the most common floating position). Tourists often like to have their photo taken reading the newspaper or other printed publications. It looks cool. If you have fear of big fish or other marine life coming up to get you while you are swimming in deep water, fear not. Nothing other than microscopic life lives in the Dead Sea. Lodging is limited on the Jordanian side to fancy luxury resorts – as of the time of this write-up there are only 4 resorts on the Jordanian side. The Movenpick gets our vote as the one to stay with its amazing Zara Spa. We also saw construction for new resorts so in the not to distant future there will be additional lodging options here. There are two main floating beaches, both right next to each other on the developed touristy part of the Jordan side which is called Amman Beach. The prices differs by about 7 Jordanian Dinar (JD) depending on which beach you choose to go to. One has a nice swimming pool, a buffet restaurant and a tourist gift shop concentrating on selling Rivage products (Dead Sea Salts, mud and other body scrubs). Both beaches have showers which is a must use after coming out of the super saline water. Before jumping in the water many people rub down their skin with the endless mud found along the shores of the sea. Petra is one of the world’s great historical regions and is a UNESCO World Heritage Site. Petra attracts many visitors from around the world – especially since it was voted as one of the “New Seven Wonders” of the World in 2007. The original ruins date from over 2000 years ago and the most well preserved of the ruins on site is the amazing “treasury” or Al Khazneh (in Arabic). To reach this ruin, allow 20-30 minutes walking mostly all downhill from the main entrance. Half of this walk is on a dirt road and the other half is through a narrow Siq (or canyon) with its steep walls. Horses and horse drawn carriages are typically available to give you rides for an extra fee on top of the general admission fee. During the tourist season it can be very crowded at the treasury, usually starting around 8 to 830am. 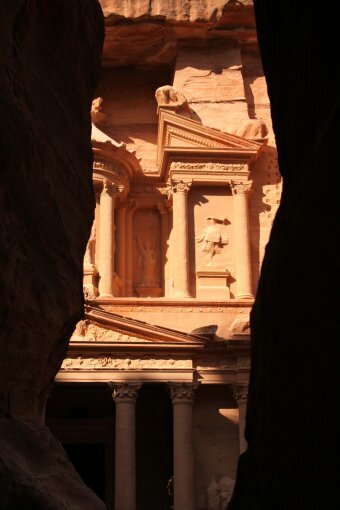 The first glimpse of the treasury (Khazneh) is breath taking as you view it partially through the narrow canyon walls. While many visitors make this their only stop to the ruins, if you really want to get a feel for Petra you need at least 1.5 to 2 full days. There are many hiking trails and other ruins well worth your visit. Once you are off the main path, it is quite easy to avoid the rest of the crowds. Besides the treasury, highlights include the Coliseum, High Place of Sacrifice, Colonnaded Street, and the beautiful “monastery”. Allow at least 2 hours one way to hike to the monastery from the main entrance to Petra – much of this hike is up hill especially when you pass the main restaurant complex. The “monastery” used to be a temple, tomb and was probably used as a church in later times. If you have the energy be sure to continue walking up the hill that sits in front of the temple. From the top of any of these lookouts there are excellent views overlooking much of Petra as well as out into Israel. 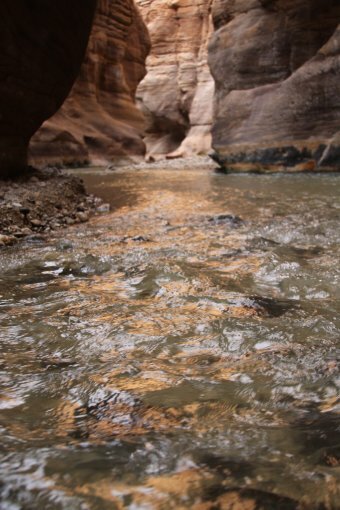 Wadi Mujib is located at the bottom of a steep canyon and contains a very “wet and wild” river hiking experience. This wadi or canyon is in the lowest reserve on the planet as its water empties into the Dead Sea (over 420 meters below sea level). A hike up the canyon is not for the faint of heart, rather it is an adrenaline producing experience. Sign the waiver at the main entrance, pay the admission fee and collect a life jacket. 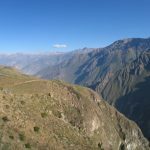 The entire hike is about 2 km – and you should allow 2 to 3 hours for the round trip. The entrance to the wadi is deceivingly flat and wide but it soon turns into very narrow, extremely steep river eroded iron sandstone walls. Quickly any banks or earth on the sides of this river disappear and the only way up the canyon is to wade and swim up river. Wadi Rum. There are places that when you are there you say, “this is incredible” and then after leaving these types of places and having a few days of reflection you realize just how special these types of places are. 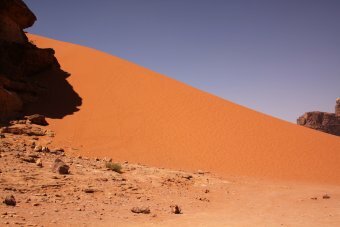 Wadi Rum is clearly one of these. Beautiful colored rock, wide open spaces, very few people and attractions including narrow Siq canyons, rock bridges, expansive vistas and the vast openness make this a special destination indeed. Public transportation to Wadi Rum is about non existent which means you have to have a car to get here. However, note that you will need a 4wd vehicle for almost all non paved roads in this desert. 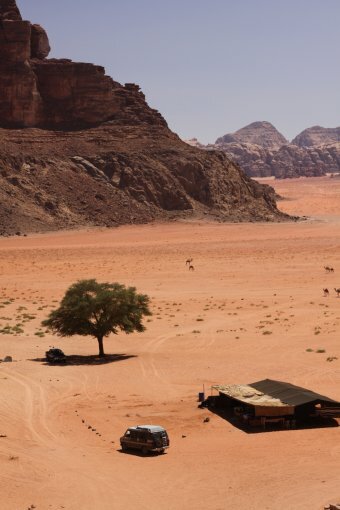 Wadi Rum is located about an hours drive north of Aqaba in Southern Jordan. When you arrive be sure to make your first stop the visitor’s center. This center contains a plethora of information about the local attractions and offers a variety of customized tours. The price of each tour depends on the length and is the same regardless of the number of people. For example if you combine with others you can each split the cost of the jeep. Jeeps are provided as either open top or closed. All the tour options and pricing are clearly listed on the billboards right outside the main office and range from about an hour up to 6 hours. Other touring options include hiking (there are trails near the visitor’s center and also camel rides. Note that part of the movie, Lawrence of Arabia was filmed in the park. There are currently no hotels in Wadi Rum although there are several places for camping as well as the touristy Bait Ali Bedouin Village just outside the park (ATV’s are also rented here and you may be hit up by locals to give take you on tours (can be slightly less expensive than the visitor center tours ( www.baitali.com ). Hitch hiking – we successfully hitch hiked throughout Jordan. This is a country where this time honored practice is acceptable although unlike countries where you often can hitch for free (Thailand, New Zealand, etc), it is common to give your ride a small tip. We hitch hiked through parts of Jordan (one day 200km). People tend to stop and give tourists rides, especially if you are at least 2 people, and it helps to get a ride if you are a couple. Most drivers expect a small tip ranging in cost depending on what you both agree on and the distance of your trip. Taxi’s are fairly inexpensive in Jordan and are very common in the larger cities including Amman and Aqaba in the south. In Amman expect to pay no more than 2.5 JD for cross town trips. In our experience, taxis tend to not use the meter and you have to insist they turn the meter on. Often if they do not use the meter, they will quote you higher price to start with. Another favorite pastime is for taxi drivers to rely on guilt and tell you “you decide what to pay me” – as over time when telling tourists this it works in their favor as the payment from tourists on average would probably be higher than what locals pay. Bus – JETT or Trust Bus companies are the two main bus companies in Jordan. Only Trust operates the long distance bus service between Amman and Aqaba in the south (by “long” we mean about 4 hours!). Vans – vans operate between shorter distances and only leave the van station when *FULL*. As a result you may be waiting for some time before a van actually leaves. Tourists are often charged double price between the main tourist destinations, ie between Aqaba and Petra or Petra and Amman among others. Car Rental – is fairly easy to do in Jordan and a number of car rental companies are available at tourist hubs including Amman, Aqaba and Petra. In spite of the terrible and disastrous things that are happening in Jordan’s neighboring countries, it has its own beauty that is just waiting to be discovered. Jordan is such a beautiful country and I’m looking forward to see it personally. It is one of my favorite countries. Wonderful photos! I’d love to go to Jordan – such a fantastic mix of things to see! Exactly! 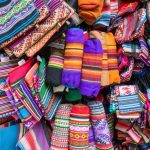 Yep, I especially like the diversity of what there is to see – mostly of the outdoor type – from some of the world’s northern most corral (Red Sea) to deserts to cultural and historic attractions. If you wish to have the best of both worlds, Jordan is one of the best places to be. 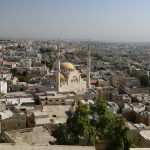 Amman has elements of the old and new, the modern and the ancient. 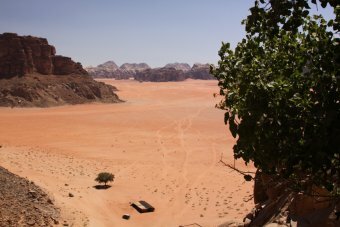 However Jordan so much more – especially in the natural world from Wadi Rum to the Dead and Red Sea’s – as well as the one and only Petra. Wow! Jordan is the place to be. I am looking forward to see it and explore. It is very true that the Jordanian people are very friendly. I will always remember all the people running out of their homes to wave to us as our tour bus drove by on the way to and from Petra. 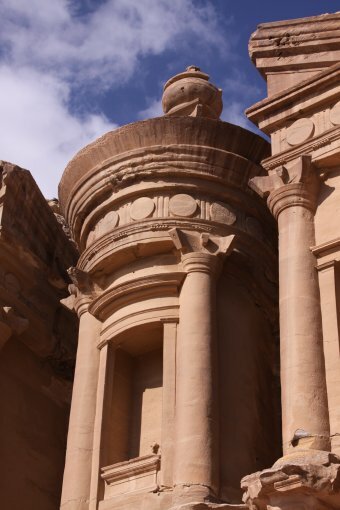 Talking of Petra, I loved the place and would highly recommend it to any visitor to the region. Fascinating history and striking architecture.